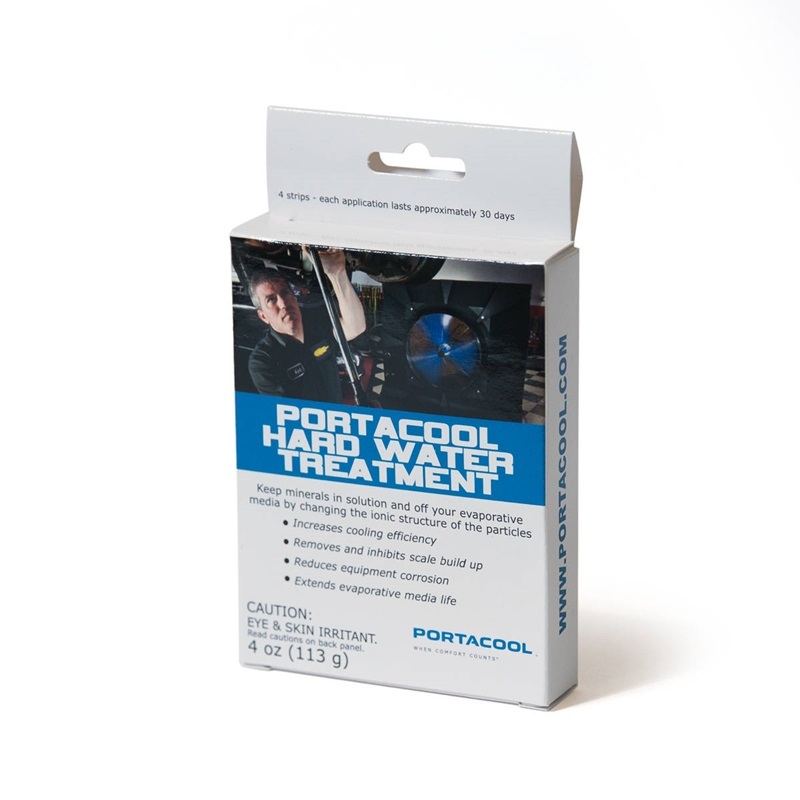 Portacool Hard Water Treatment™ can be used to prevent hard water build up. 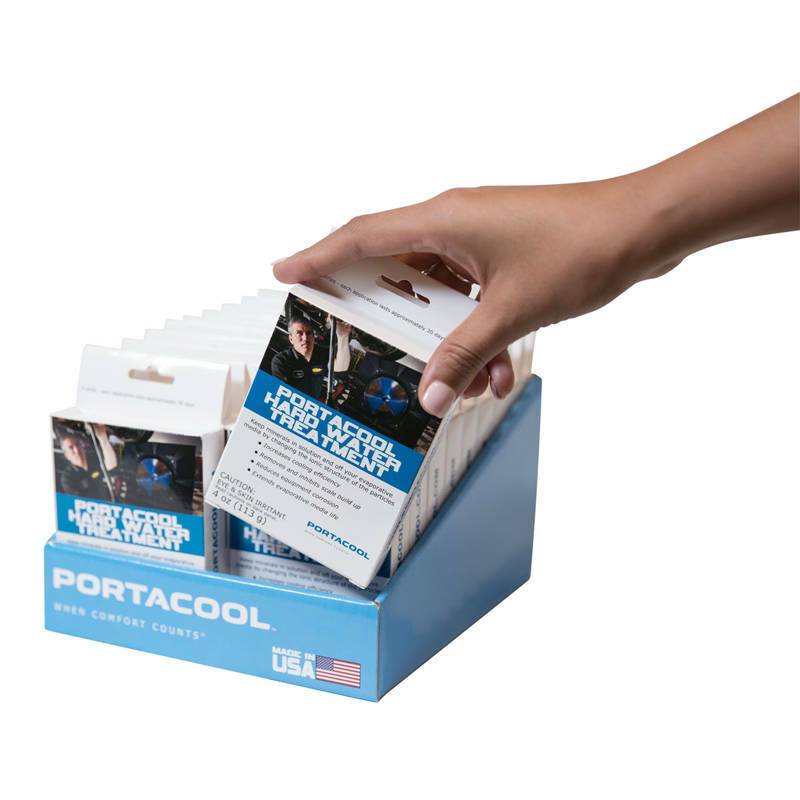 Four applications per box, each application lasts approximately 30 days. CAUTION: Eye & Skin Irritant. Do not swallow. Do not get in eyes. Do not get on skin or clothing. Do not breathe fumes. KEEP OUT OF REACH OF CHILDREN. Wear safety glasses and chemical resistant gloves. 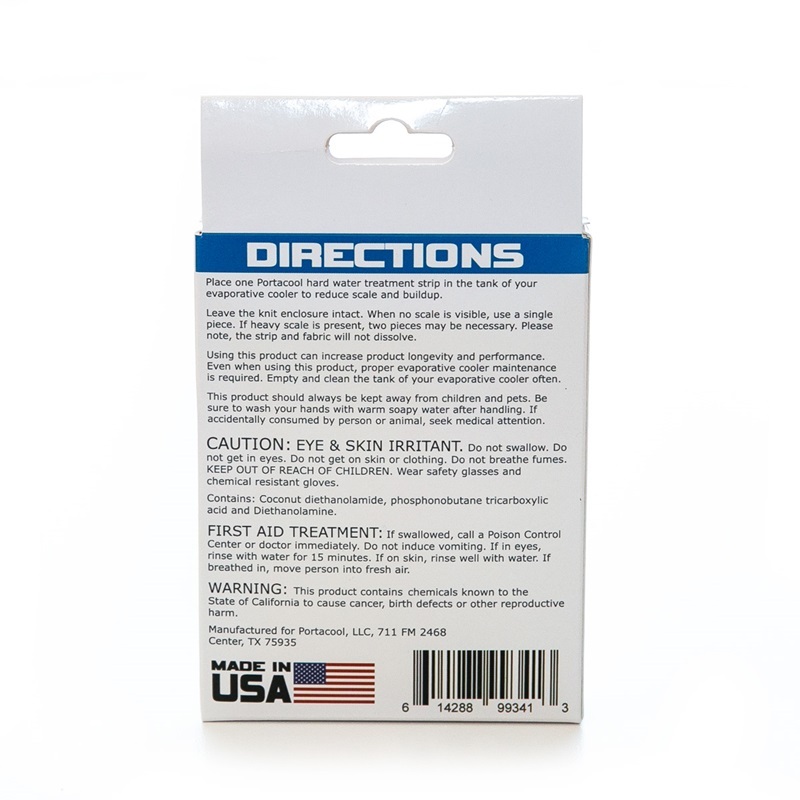 Contains: Coconut diethanolamide, phosphonobutane tricarboxylic acid and Diethanolamine. FIRST AID TREATMENT: If swallowed, call a Poison Control Center or doctor immediately. Do not induce vomiting. If in eyes, rinse with water for 15 minutes. If on skin, rinse well with water. If breathed in, move person into fresh air. WARNING: This product contains chemicals known to the State of California to cause cancer, birth defects or other reproductive harm.